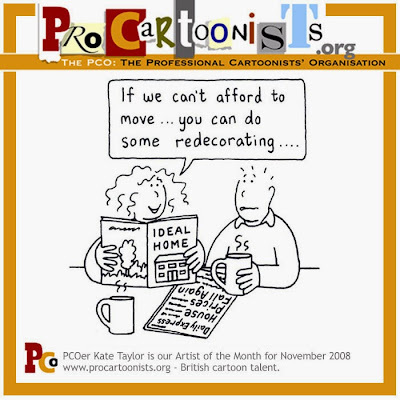 Kate’s last piece of advice to any aspiring cartoonist is to “have endless perseverance, draw from the heart and be a shameless self-publicist”. 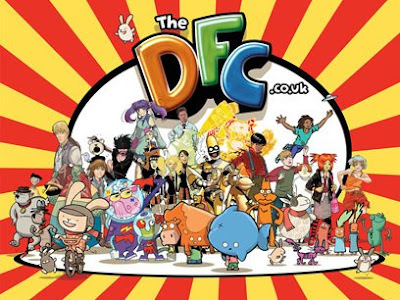 The Forbidden Planet blog has a nice piece to mark six months of The DFC, the subscription-only kids’ comic launched earlier this year. Instead of canvassing the opinions of grown-up comic fans, they’ve interviewed a member of the target audience: Molly, nine. This was interesting to me as my son, who is six, reads The DFC. He loves it, but of course he only knows about it because his cartoonist Dad wanted to see it. His friends are largely unaware of The DFC because it has such a low media profile. It really needs to get into the shops permanently (it’s currently on a one-week trial at Tesco). Like Molly in the FP piece, he also goes for the funny ones rather than the more serious, adventure ones. I think I did much the same thing with comics as a child. 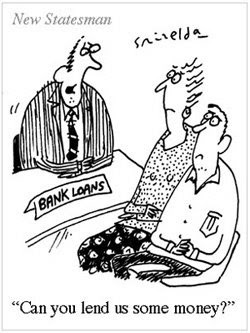 Who’s Laughing Now?, a cartoon exhibition by PCOer Andy Gilbert, has been a hit at the Derby Museum and Art Gallery and as a result, selected pieces will be exhibited at the Queen’s Hospital, Burton upon Trent, until December 13. Andy Gilbert produces artwork for Rainbow Cards and much of the exhibition highlights the gentle humour that he produces for their range. One way and another I’ve had quite an exciting week. At the Cartoon Awards on Wednesday I got slapped, quite hard, by the celebrated lawyer and serially rebellious Labour MP Bob Marshall-Andrews, who seems not to have liked an interview I did with him for The Spectator this August. Surprisingly enough, I’ve never been hit by a politician before, although Peter Brookes used to whack me every time we met. On the basis that all cartoonists, if they’re giving it out, should be able to take it as well, I took this particular assault on the chin (actually, more the whole left side of my head) and decided honour was satisfied. Subsequently Bob has offered to buy me lunch, so maybe it isn’t over yet. The other exciting thing is the extraordinary viral life of a feature I illustrated for New Humanist, devised by the comedian Christina Martin. It’s called “God Trumps” and is a series of playing cards depicting representatives of 12 of the World’s leading religions, with marks out of ten in six categories whereby they might trump the other religions (Muslims trump everyone, needless to say, because of the impossibility of making jokes about them). As of Thursday evening, it had, apparently, had over 55,000 hits (as compared to just the one I got from Marshall-Andrews), and the atheistical boys and girls at New Humanist are so excited that, at their non-Christmas party on Thursday night, there was a lot of talk of T-shirts and tea towels and another 12 cards to mop up the religions we left out, like Russian Orthodox and Mormons. With luck this one could run even longer than my feud with the member for Medway! Yippee! 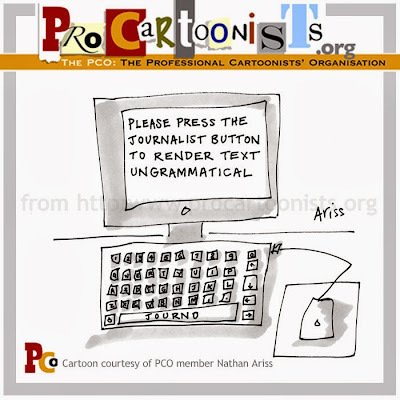 PCOer Nathan Ariss reports that the Queen’s English Society is launching a book which he has illustrated.